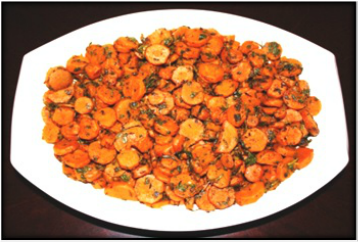 ﻿G﻿ajar methi ki sabji is a delicious spicy and little sweet unique side vegetable dish. 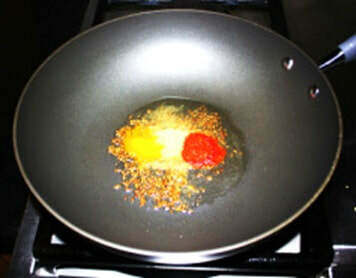 In this dish chopped gajar and methi cooked together with some spices. This is a very simple dish no fancy spices or ingredients are used to make this dish but still taste delicious. 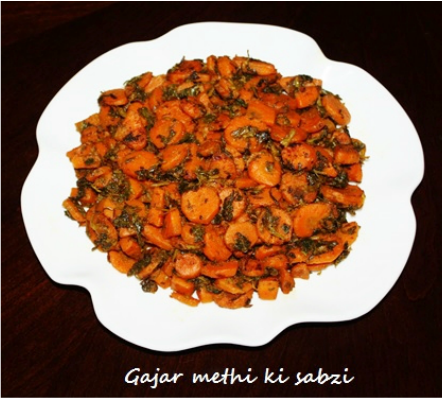 Gajar is also known as carrots and Methi is known as fenugreek leaves. 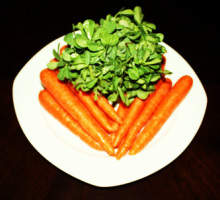 Carrots are orange in color, sweet, and rich in dietary fiber, antioxidant and minerals. 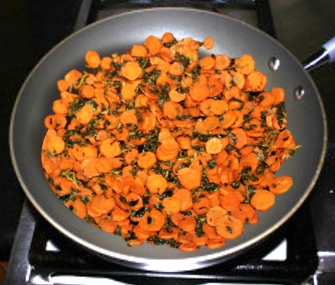 Methi which is little bitter in taste but full of vitamins, combined with carrots makes a very nutritious, easy to make dish. 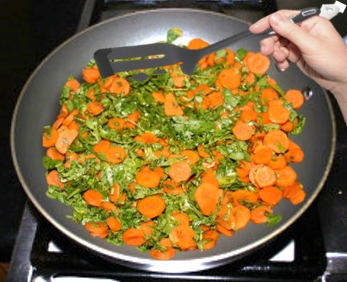 Carrots are versatile. They can be eaten and cooked in a variety of ways, as salads, as vegetables or added to spicy dal or combined with other vegetables. 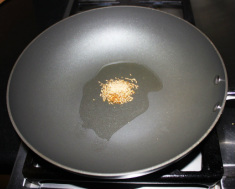 2 to 3 minutes or until cumin seeds become dark brown. carrots upside down. 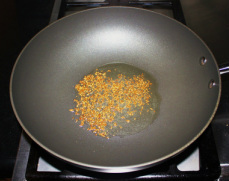 Once spices become brown turn the stove off. 2. 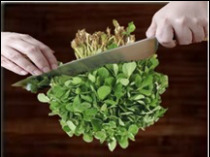 For convenience use chopper to chop Methi. ​ green stems attach. Wash the carrots. 2. Cut the carrot half crosswise. 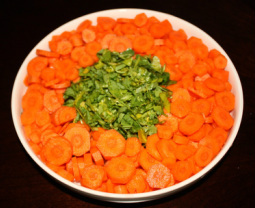 Top of the carrot is usually thin, cut it into small circle. Bottom of the carrots is usually thick cut that piece in half lengthwise and slice it if the piece is really thick then quarter the half piece and slice it. 3. Wash the Methi well. Separate the leaves from the stems. 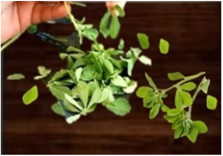 Take some Methi leaves, bunch them together and chop coarsely.